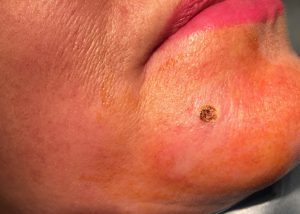 Moles are usually harmless pigmented lesions. Moles come in many shapes and sizes they can be flat or raised dark or light brown. Some may be fleshy and the same colour as the rest of the skin. Moles are usually acquired after birth and may continue to appear up until the age of 40yrs. After which it is unusual to develop a new mole. Dr Clayton cares for children born with brown pigmented birthmarks the so called congenital melanocytic naevus. They can be small or large and require specialist review in a pediatric dermatology clinic. Moles do change slowly as people get older often becoming paler and more prominent. If you are concerned about a mole you should see your GP who can refer you to an NHS or private dermatologist. Dr Clayton undertakes skin surgery to remove moles under local anaesthesia for adults and children. In his private clinics at King Street and Oaklands he undertakes skin surgery to remove benign moles and skin tags. He also undertakes surgery for malignant skin lesions such as melanoma, basal cell carcinoma and squamous cell carcinomas. The most important component of the consultation is assessment of the skin lesion. 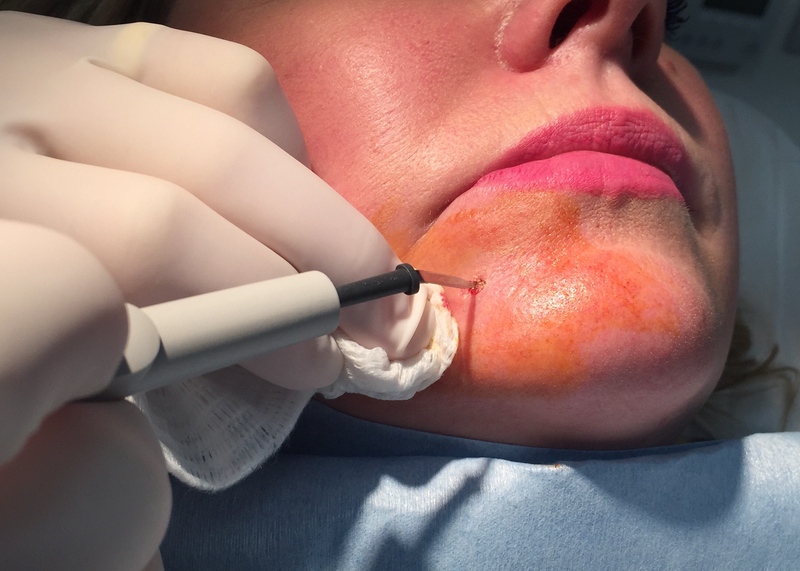 Dr Clayton uses dermsocopy to assess moles and skin lesions. He can then advice on appropriate surgical or non-surgical treatment. 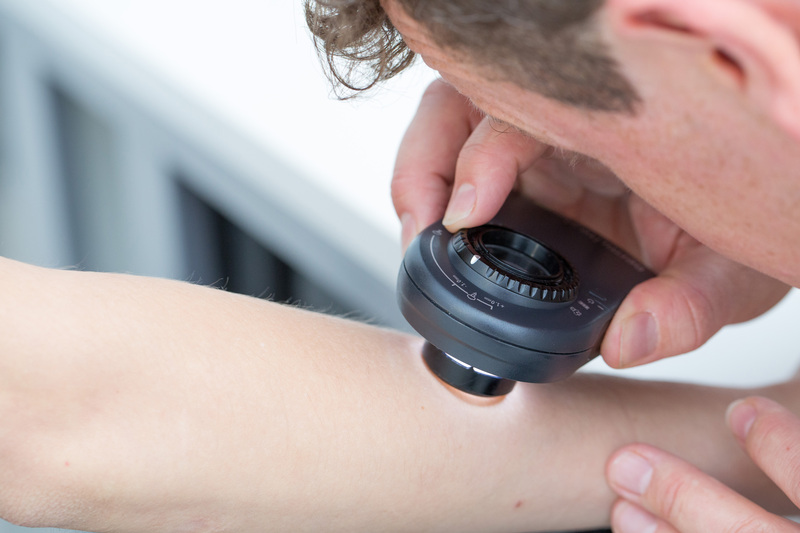 Skin lesions that are removed should be analysed under the microscope to confirm whether or not they are benign or more serious. 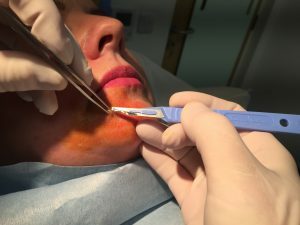 Mole removal is usually carried out under a local anaesthetic, which means that the affected skin area will be completely numb but you stay awake. This is an example of a shave excision performed by Dr Clayton at his clinic on King Street in Manchester. 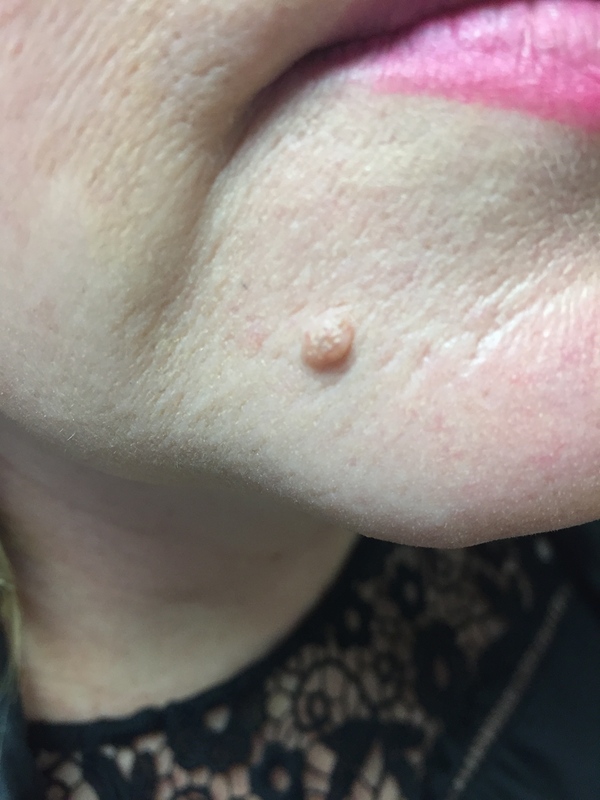 Dr Tim is able to remove harmless benign moles and lesions in his Manchester clinic. Any lesion that needs checking to exclude skin cancer is removed by Dr Clayton at one of the private hospitals that he works in Manchester, such as Oaklands Hospital. 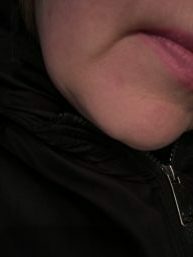 firstly mole on chin identified and checked as bengin. The skin is then anaesthetized with local anaesthetic. Following local anaesthetic the lesion is removed via scalpel. The base of the wound is hyphaecated/cauterised using Dr Clayton’s Derm 102 device. Patient leaves the hospital with small circular wound. 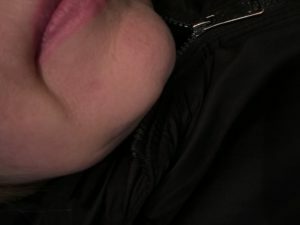 The exact technique used for removing the mole depends on factors such as what condition it is, its size and location. Most moles are removed with a scalpel and the wound closed with sutures. Some moles may be shaved down to the level of the surrounding skin and the base cauterised. The operation will leave a scar. How big and noticeable this will be depends on the exact operation. It’s quite normal for a scab to develop and this will generally heal within a week or two. Any inflammation will usually disappear within a few weeks. Most scars fade significantly over the first year. Can you get a mole removed on the NHS? 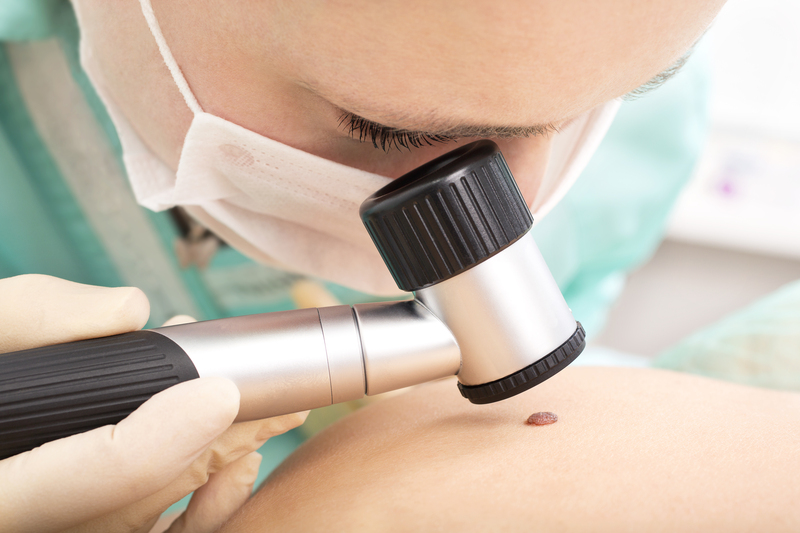 The NHS may remove moles as a treatment for a health condition, such as skin cancer, or if they are likely to become inflamed, such as when combing the hair or shaving. However, if a GP or dermatologist believes mole removal to be cosmetic, they may suggest the removal be performed privately by dermatologists. Simply click the button below and fill in the form and one of the team will be in touch about your booking.